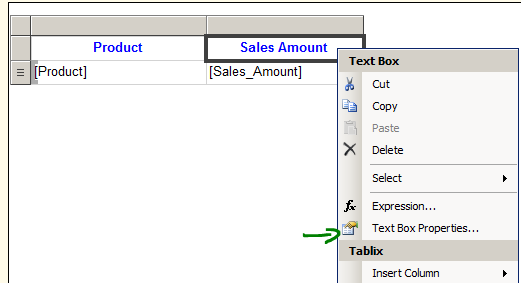 SSAS Tabular Model: How to change the query used for tables? How do I change the query that’s being used to populate tables in SSAS Tabular Model? 2. On the Edit Table Properties, you can change the query. you can also change the tables if that’s what you have used using the “switch to” box on the right side of the dialog box. 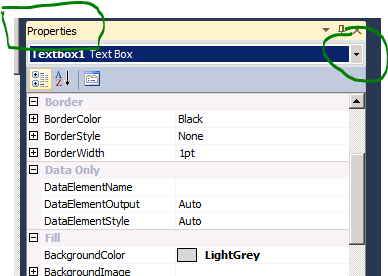 In this post, you saw how to change the query used for the tables in SSAS Tabular models. 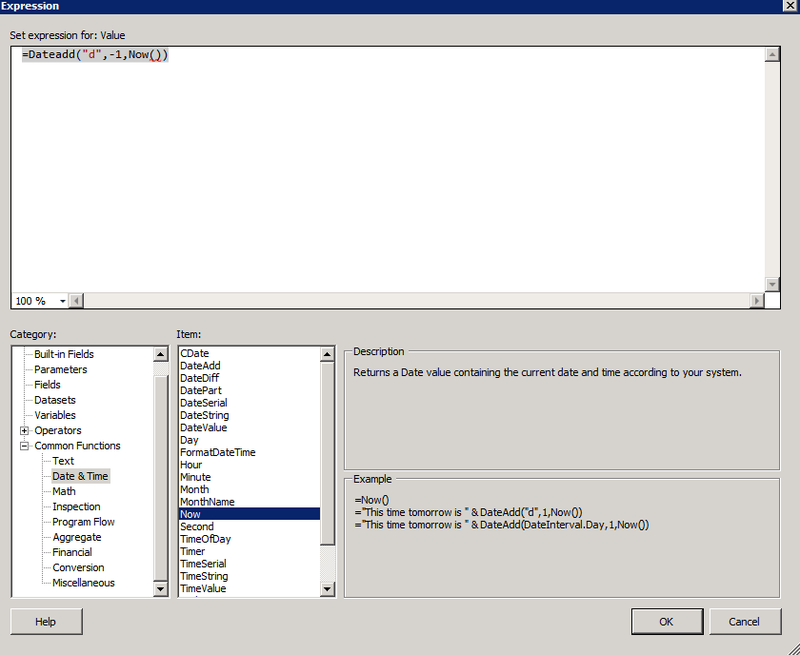 SQL Server reporting services: How to Add Trademark special symbol in Text? The goal of this blog post is to share a quick tip on SQL Server Reporting Services (SSRS): How to add Trademark TM special symbol in Text? 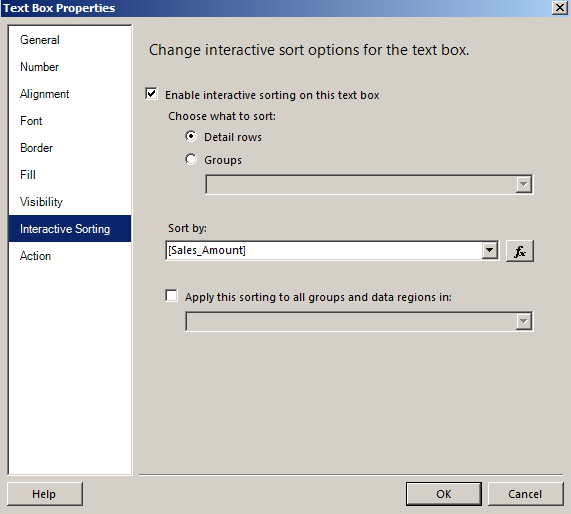 SQL Server Reporting Services: How to add Interactive Sorting to a Table with no groups? 2. Click on “Text Properties” and navigate to “Interactive sorting”. 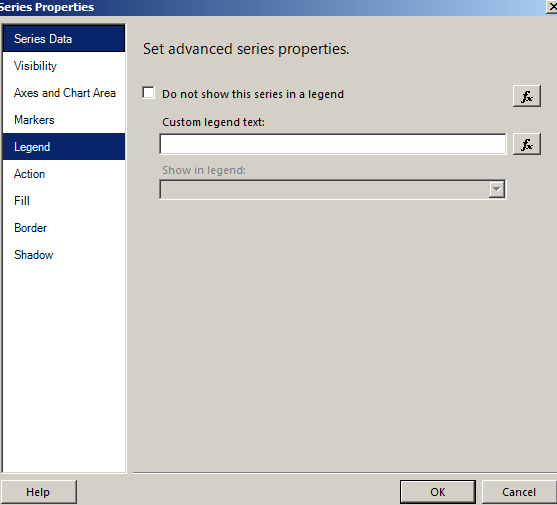 SQL Server reporting services: How to customize the Legend Text on a chart? How do you customize the Legend Text on a chart? by default, it’s going to show you the name that you have in the Data Set, but sometimes that’s not what you want to display so how do you change the name? 4. You can customize text for all legends on your report by navigating to the series properties. In this post, I walked you through how you can customize the legend name/text in SQL Server Reporting Services. SQL Server Reporting Services: How to display Multi Select parameter selected on the report? 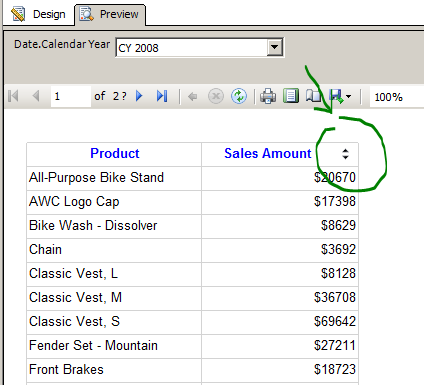 You’ve a multi select parameter on your SSRS report and you need a way to display that on that the SSRS report. (Note: It’s a good practice because when the report is printed out the parameter values that were selected gets displayed and the consumer know that’s right off the bat.) – So how do you do that? I learned this trick via this stackoverflow thread. And after I did that, it fixed the problem! I hope this gives a good starting point! How to set SSRS date parameter default value to previous day? Setting the default value for parameters like today’s date & current month is great because that way consumer do not need to manually input the parameter value. I was working on a requirement to pass previous day to the date parameter. So here’s the quick tip to set the default value of the date parameter to previous day. 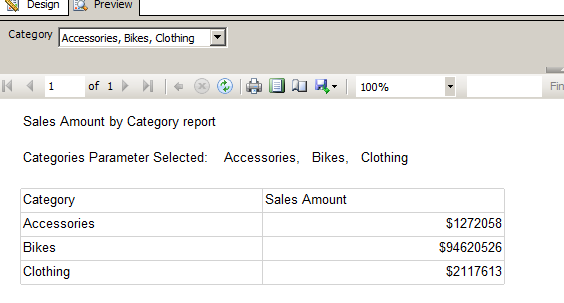 SSRS: How do I know where a report item is on the report? 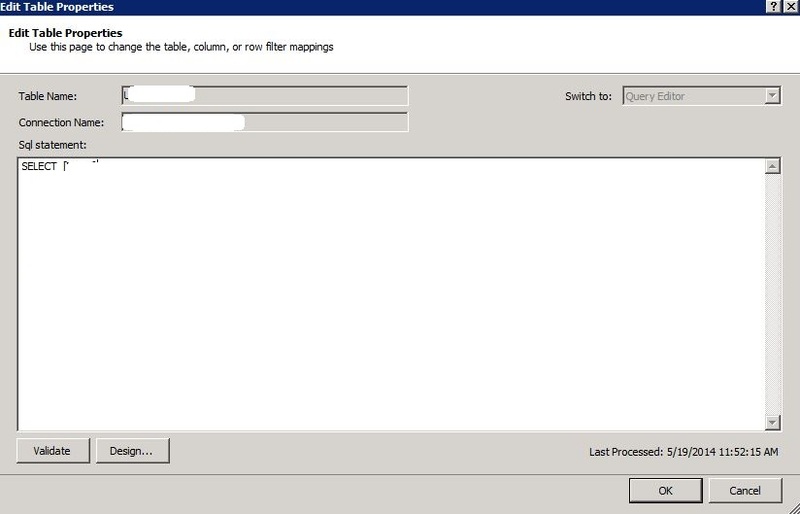 Have you ever got a SSRS message saying something like textbox107 refers to an invalid measure or measure used in gaugepanel7 is not valid, etc? 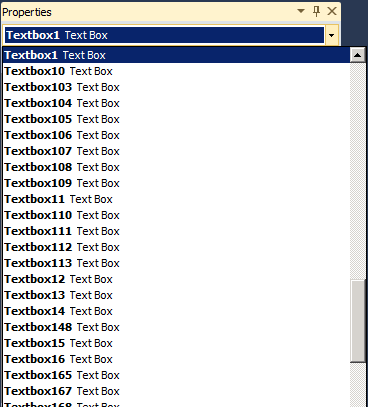 The problem is how do you find that “Textbox107” report item on your SSRS report? After all, you might have lots of text boxes on your report. Step 2: Open the report. 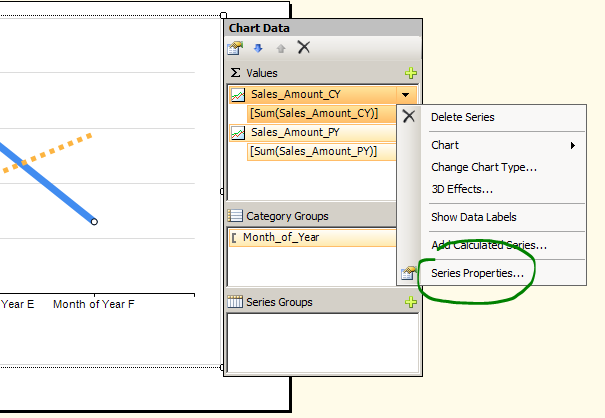 Step 3: if you select a report item then it’s going to show the properties of the report item in the properties pane. Step 4: And you can select a report item by it’s name like textbox107 or gaugepanel11 for which you are seeing an error, that way you can find the location of the report item and troubleshoot it! 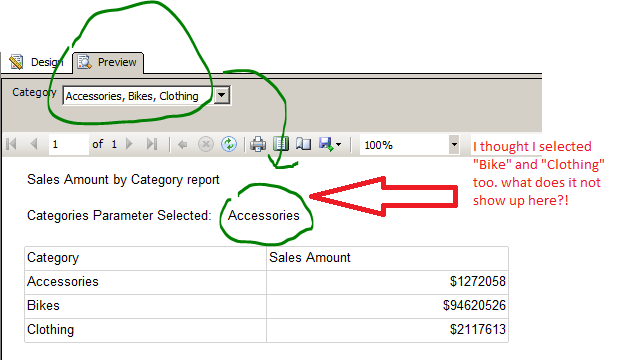 I hope this tip helps you find the report item on your SSRS reports. Let me explain. 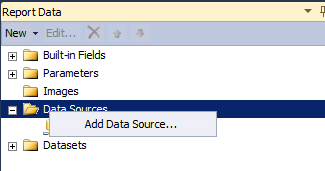 In SSRS, reports need data sources. And data sources can be of two types: 1) Embedded 2) Shared. 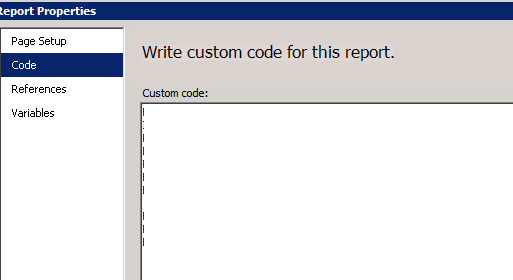 When a report uses the embedded data source, the data source properties are stored along with the report. If you’ve 5 reports that use the same data source & you decide to go via the embedded data source route then you’ll have 5 data source properties. If you need to change the data source property like change the server name then you’ll have to edit 5 different data source properties. Not efficient! 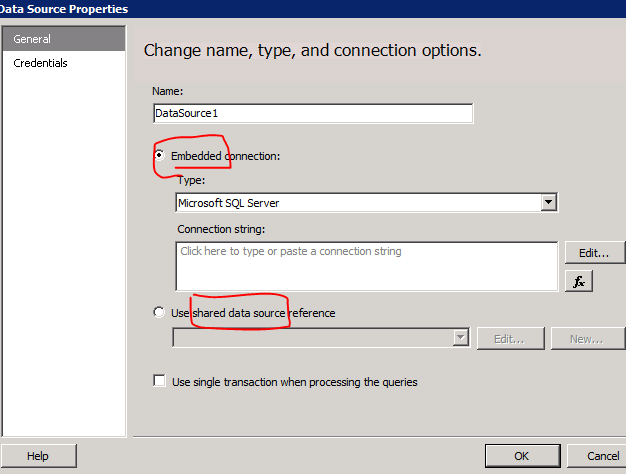 But if you use the Shared Data Source, then you can update data source properties from one location. Multiple reports can link to the shared data source & if there is a need to change the data source property, then you’ll have to do it only once. Other benefit, you can take a data source offline if you ever have that need. This will pause all reports that are using this data source & also, stop all report subscriptions. In this blog post, we saw how shared data source can help you manage your reports efficiently. Environment: SQL Server 2012 reporting services 2012 w/ SharePoint 2010 Enterprise. For SSRS reports hosted on SharePoint, the Data Alerts & Subscribe are grayed out or disabled. You need to upload a SSRS and for the data sources, you’ll have to store the credentials or no credentials. It’s not ideal for user-level security (e.g. via Windows Authentication) setup on the data source side but the requirement of data alerts and email subscription dictate that you need to stored the credentials or not have credential requirements. what we ended up doing at a client’s was to create a SharePoint library for “report subscriptions” which is hidden from end-users. We added a service account to the data source & we store the credentials of the service in the report used for report subscription. And IT “controls” who receives the email. So after a user submits a request to get emails, IT goes in the security database & see’s if a user is fit to receive the email or not. So not all users may get approval to receive the email. That was a solution that we had to take to stay compliant.